The RaceTek Heat Shrink Box Set includes Black, Red, Blue, Green, & Yellow Heat Shrink. 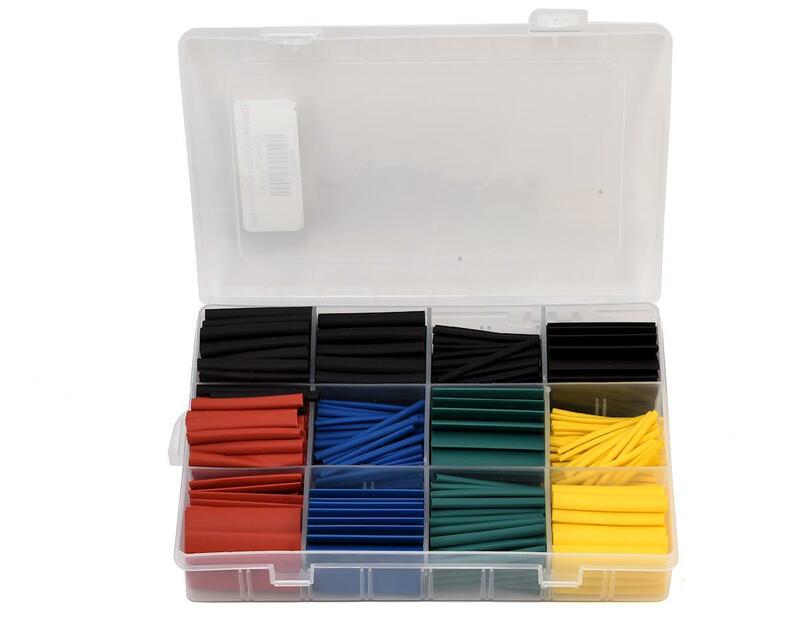 Available in 3mm, 6mm, 7mm, and 10mm diameters, the box set provides an extensive amount of conveniently cut 45mm lengths of heat shrink tubing. 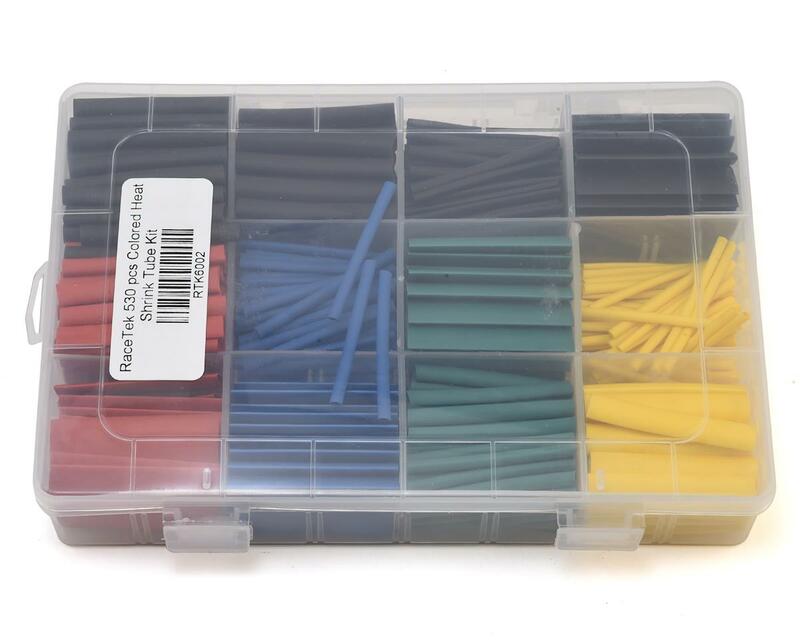 The hardware box provides a simple and organized way to store all of the heatshrink pieces, and measures 195x135x35 allowing you to bring the box in nearly any field tote box, storage box, and so much more! Stop thinking about it, and just add it to your shopping cart. You will thank us later.